Police have arrested three men after seizing cocaine with an estimated street value of £250,000 in Crumlin yesterday (November 30). At around 4:45pm detectives from the PSNI's Criminal Investigation Branch carried out a search of a vehicle on the Dundrod Road at Nutts Corner, seizing a quantity of suspected cocaine. Two men, aged 22 and 42 were arrested. 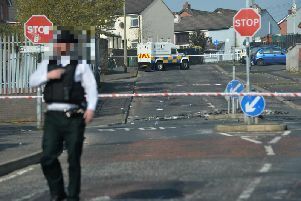 Police also revealed a 30-year-old man was arrested after a second vehicle was stopped and searched on the Edenbane Road area of Kilrea. Detective Inspector Andrew Hamlin said: “The three men were arrested on suspicion of possession of Class A controlled drugs and possession of Class A controlled drugs with intent to supply. They remain in police custody. “Tackling the illegal sale and use of drugs is a priority for police. Seizures such as this demonstrate our ongoing commitment to tackling the scourge of drugs in our society.